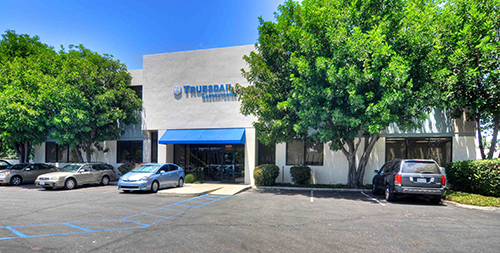 Harbor Associates LLC purchased 14201 Franklin, a vacant, 40k sf former research and development building in Tustin, for $6.077 mil. The building will be transformed into a Class A, creative office campus. Built in 1983, 14201 Franklin has unique building features and excess land that make the project an ideal candidate for a creative office conversion in a market where creative office product has a low, single digit vacancy rate. The building has redwood beams with above standard clear heights, two interior glass atriums, and multiple skylights. As part of the planned renovation, Harbor will make extensive building and landscaping upgrades along with converting the adjacent, undeveloped 1.1 acre parcel into additional project parking that will allow for the highest parking ratio in the competitive set. 14201 Franklin is located within one mile of I-5, the 261 Toll Rd and Jamboree Rd, allowing direct access throughout Orange County and Southern California. The property is also within one mile of the 1.6 msf Tustin Marketplace outdoor shopping mall and three miles of the 1 msf District at Tustin Legacy retail center. Shawn Lawrence, Jason Ward, and Chon Kantikovit of Cushman & Wakefield represented the buyer and seller in the transaction. Steve Orchard, Gary Limjuco and Robert Murphy of Transwestern arranged the debt and equity financing for the project.